Two days before Lal’s scheduled rally, Singh fired what was his ultimate political weapon to upstage his former deputy. He announced that he had accepted the report of the Mandal Commission with immediate effect. Although V.P. Singh was one of the shrewdest Indian politicians of his time, he failed to foresee that his shabby deal with Devi Lal, the powerful chief minister of Haryana, would be his undoing. The country could somehow accept Devi Lal’s appointment as deputy prime minister, as an unavoidable part of the political game. But the almost simultaneous swearing-in of his son, Om Prakash Chautala, as Haryana’s chief minister — not in the state’s capital but in Delhi — as part of the secret understanding between Singh and Lal was a tad too much. For, most Indians knew that both father and son were extremely high-handed and not overburdened with scruples. Indeed, Chautala had got away often with fraud and violence because of his father’s formidable clout. Though ensconced in the chief minister’s chair, Chautala was not a member of the state assembly. One of his cohorts vacated his seat for the chief minister to win. The rigging of the election there was so egregious and brazen that even the prime minister’s most loyal supporters were appalled; people in general were furious. There was no alternative to forcing Chautala to resign. But Lal, who believed that it was only because of his grace that Singh was prime minister, was enraged. He tendered his own resignation. However, by assuring the father that Chautala would be back as chief minister after a “suitable interval”, the prime minister managed to defuse the situation. As already underscored, all this crude manoeuvring for personal power was taking place against the backdrop of a grave national crisis — a Pakistan-backed virulent insurgency raging in Kashmir that lasted a long time. Ironically, it was touched off by the kidnapping of the daughter of the Kashmiri leader, Mufti Mohammad Sayeed, whom Singh had appointed home minister, the only Muslim to hold charge of this powerful portfolio so far (‘Rise of V.P. Singh’, IE, February 2). 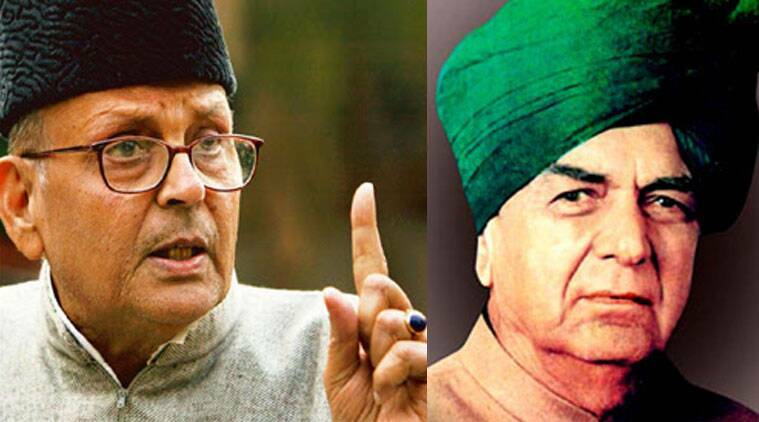 When Chautala’s second coronation took place some months later, the crisis escalated. Three cabinet ministers resigned. But the government stumbled on. Grim and growing domestic challenges demanded all the attention Singh could devote. One of these was caused by his own failure to make good on his boast all through the election campaign that he would expose the beneficiaries of the Bofors bribes within 15 days of coming to power. He couldn’t do it even after 15 weeks, when the public began to taunt him. Indeed, he couldn’t do so even by the end of his tenure, which ended in just 11 months. Incidentally, the Bofors bribes amounted to Rs 64 crore. What chickenfeed this is compared with the loot in recent and current scams! Meanwhile, Pakistan’s newly elected prime minister, Benazir Bhutto, was constantly repeating her late father’s threat of a “thousand-year war” against India. Singh’s retort to her was: “Those talking of a thousand-year war should ask themselves whether they can last even a thousand hours.” Thereafter, he seemed determined to appear on the world stage by visiting a major country. Early in 1990, the Soviet Union had extended an invitation to him. But Singh was unable to leave the country until mid-July. By then, the very existence of the USSR was in danger, and indeed the Soviet Union’s implosion was not far. Moscow wanted the visit to be postponed but understood Singh’s keenness to go ahead with it. Soviet President Mikhail Gorbachev courteously conveyed to him that for the forenoon of the appointed day, he would be all attention to him, but thereafter the Indian delegation would proceed to Tashkent and Samarkand. I was in the press party that accompanied the prime minister and noted that nothing of any consequence took place in the Soviet capital. We returned home on the evening of July 26 to find that the political scenario had become exceedingly grim. The farcical tussle between Lal and his bitter opponents, led by Arun Nehru, had reached its peak. After futile attempts to reconcile the two sides, Singh at last sacked his unbearable deputy on July 31. The very next day, on August 1, Lal announced that he would hold a public rally on August 9 — a hallowed date for Indians because on it, in 1942, the Mahatma’s Quit India movement against the British had begun — to show his strength. This worried Singh because his adversary had a strong caste-based following all around the national capital. On August 2, a major international conflict added to Singh’s woes. Saddam Hussein of Iraq invaded and annexed the neighbouring oil-rich state of Kuwait. Not only India’s oil supplies but also the lives and jobs of a huge number of Indians living in the Gulf were threatened. Two days before Lal’s scheduled rally, Singh fired what was his ultimate political weapon to upstage his former deputy. Out of the blue, he announced that he had accepted the report of the Mandal Commission that had been gathering dust in some pigeon-hole with immediate effect. This meant that 27 per cent of all government jobs would be reserved for what are called Other Backward Classes (OBCs) but are in reality intermediate castes, some of which are prosperous enough but are socially and educationally backward. Since the 27 per cent new reservations were in addition to 22.5 per cent for the Scheduled Castes (Dalits) and the Scheduled Tribes (Adivasis), it meant that half the government jobs were outside the arena of competition in a country where the government was the main employer. Caste was to override merit. No wonder, all hell broke loose. Students were in the forefront of the countrywide agitation that erupted. Some protestors immolated themselves before TV cameras; others were killed in police firings, which were frequent. This is only a brief and inadequate reference to an immensely important turning point in modern Indian history. The compulsions, consequences, complexities and repercussions of the OBC issue will have to be spelt out separately.